The news of Houston overtaking Chicago as the nations third largest city puts the spotlight directly where it's deserved. Right here! A special city requires special attention, and a number of stores in River Oaks District are offering unique, limited edition items planned exclusively for their grand openings. Jeweler Chopard acknowledges the new Houston store with a patriotic version of their fanciful Happy Sport watch. The 'Happy Texas Limited Edition' features moving stones inside the watch dial; three blue sapphires, three red rubies, and a single floating lone star diamond. Optional straps; red croc, white rubber, and navy satin, make this multifaceted watch ideal for showing H-Town love. Limited to 25 pieces, the Happy Texas watch is as glittering as the state it was named for. Patek Philippe at deBOULLE will be offering a very rare handcraft Calatrava white gold timepiece created for the 175th Anniversary of esteemed Geneva based watch brand. 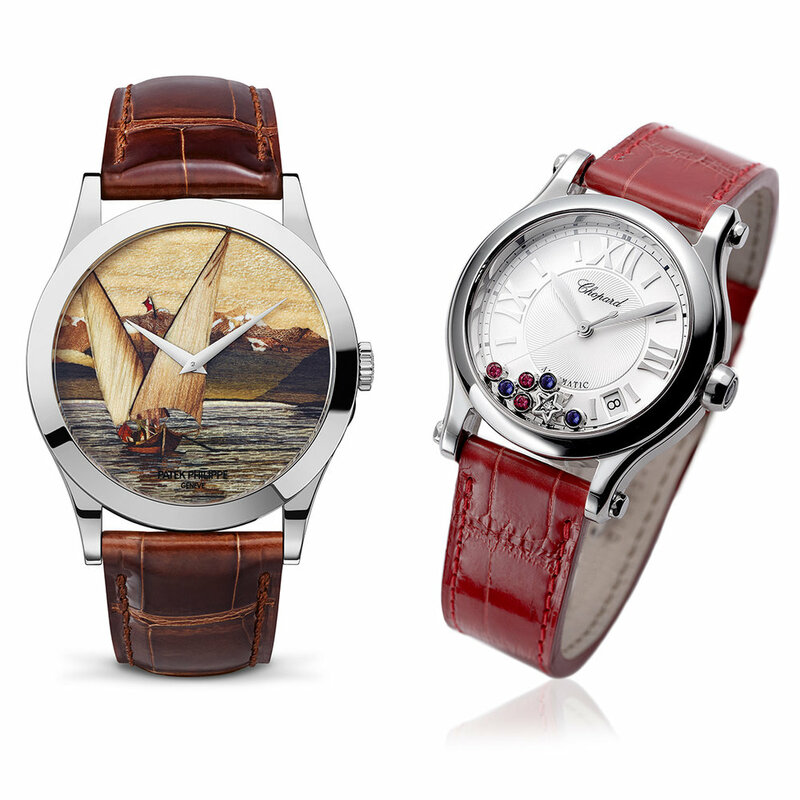 Inspired by images from vintage Swiss postcards, the unique marquetry dial is created by using up to 166 tiny pieces of inlayed wood depicting an incredibly detailed image of a sailboat on Lake Geneva. The Patek Philippe Reference 5089G watch is so rare, it is the only one of its kind offered for sale in the United States.